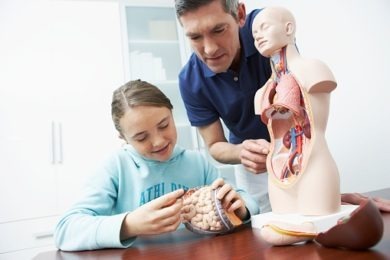 Children and adolescents who have Crohn’s disease (CD) or are suspected of having CD and are scheduled to have a colonoscopy/upper endoscopy and magnetic resonance imaging with enterography (MRE) of the gastrointestinal (GI) tract as part of routine clinical care. Purpose: To develop a non-invasive assessment tool to measure intestinal damage for CD patients. Researchers want to know if MRE could be used to measure changes in the level of inflammation in the GI tract that occur over time. In this study, we will compare results from MRE used to measure intestinal inflammation to the results of colonoscopy/upper endoscopy, blood tests and stool tests from children who are suspected of having CD. We hope this will allow for the development of a non-invasive assessment tool to measure intestinal damage, thus reducing the need for repeat endoscopic assessments. About 240 children, 18 years of age or less, with CD will take part in this study at 27 sites around the world. There will be two phases: phase 1 (instrument development) will involve an initial group of 120 children and phase 2 (instrument evaluation) will involve an additional group of 120 children.